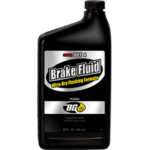 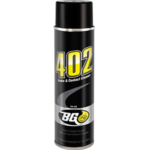 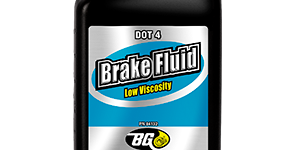 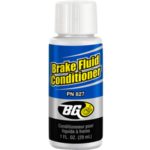 BG Low Viscosity DOT 4 Brake Fluid | BG Products, Inc.
BG Low Viscosity DOT 4 Brake Fluid delivers quick brake response at low temperatures for all DOT 4 disc and drum brake systems. BG Low Viscosity DOT 4 Brake Fluid is compatible and can be used in all vehicles that require DOT 3, DOT 4, Super DOT 4 or DOT 4 Plus fluid. 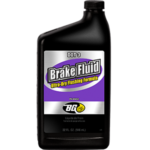 Meets FMVSS 116, DOT-4, ISO 4925 Class-6, and SAE J1704 standards. 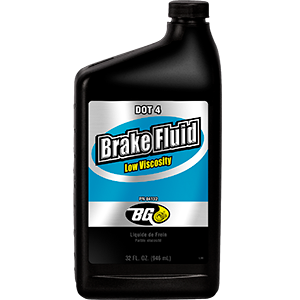 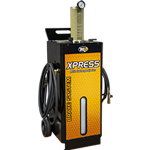 Installed using the BG PF7, BG Low Viscosity DOT 4 Brake Fluid is an integral part of the BG Brake Service.